This will be the first contest I've entered so bear with me. I was a bit upset when i found out how popular my Star wars blaster model was and i didn't enter it into the contest, so this time i'm going all in. Mad Science! 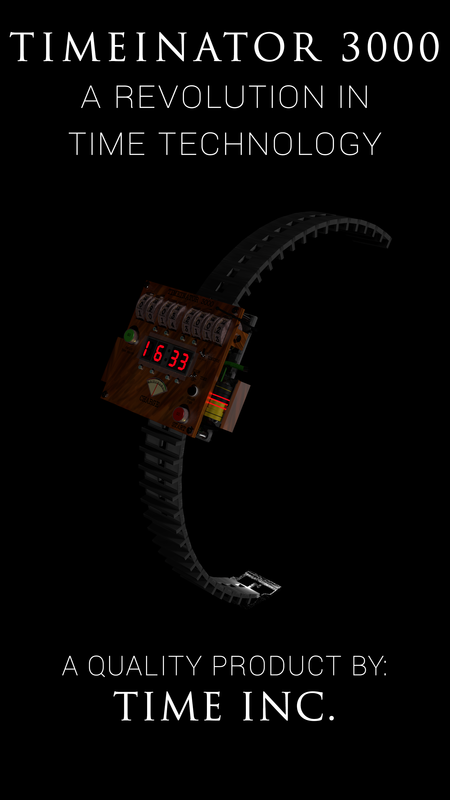 How about a cyberpunk style time travel watch with lots of useless cables and buttons? I'll be focusing on the little details, as it's always been something i've not been good at. I also want this to be viewable in a cardboard headset. The main program used will be Blender 3D. The ability to time travel was first discovered by a young man who, when trying to invent a compact and immensely powerful energy storage, inadvertently allowed the batteries to discharge too abruptly, and consequently found himself watching his own birth. With this discovery, he helped himself along the path to his earlier (or later) discovery, and founded Time Inc. He unfortunately went mad due to the time loop, but the company continued to strive on. Limited Charge: Unlike larger models, such as the LARDIS, the batteries can only manage 1 charge before dying, proving to be quite expensive. No Spatial movement. This model will only allow you to move in time, not space as well. So you will need to be at the exact spot you want to time travel to before going. Regardless of these shortcomings, the watch turned out to be a huge success, being extremely popular among budding time explorers. Time Inc profited massively off this invention. Recently they have come under fire for the recent allegations against them that they are "encouraging mass paradox" and "breaking all known laws of physics", which is of course absolute balderdash. 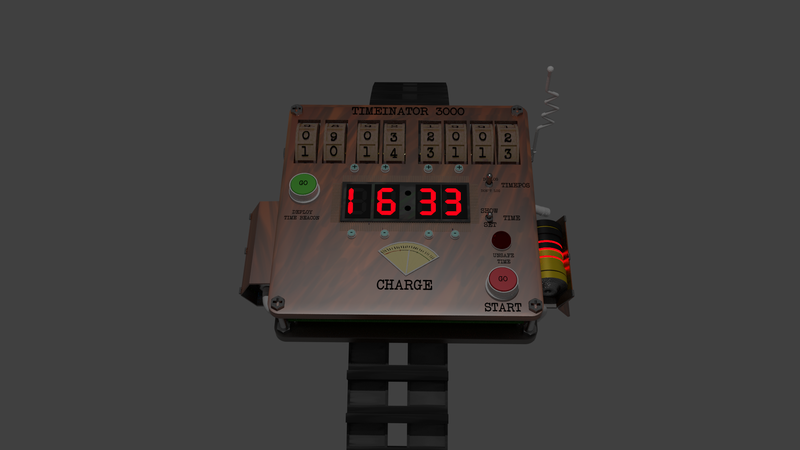 Finished the Timeinator 3000, with some time (geddit?) to spare! Either Bake as you go or focus on simple materials that don't need to be baked in, because trying to bake everything last minute is not fun, and it has had some negative effects on the artwork. Follow the guidelines a bit more tightly. I felt with this piece that there wasn't much of a "story" to go with it, and the storytelling was done outside of the actual model itself. So for the future I should tell more story through the artwork. I did have a lot of fun making this model, and i learnt a fair bit on the way. 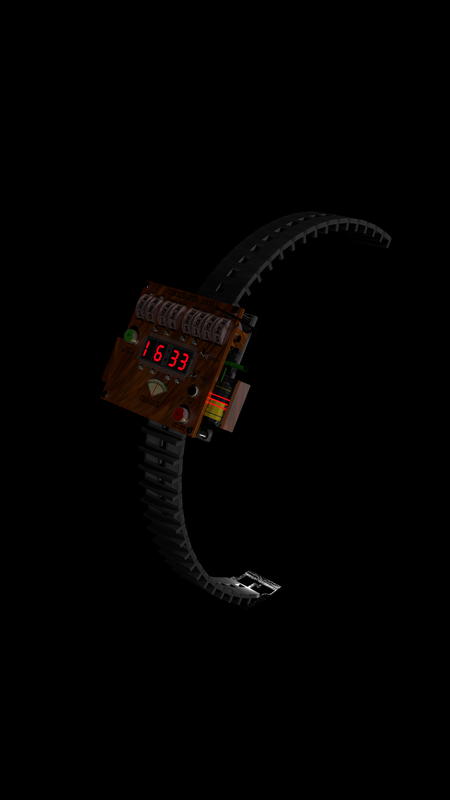 I set out with the goal of putting more detail in my models, and i feel i've succeeded at least in that respect, all the little screws and bits and bobs on the circuit board. I actually had to cut some stuff out to fit into sketchfabs 50MB limit! I also learnt about moodboards, something i actually had not heard of before, and they look like they'd be super useful for the future. Anyway, Good luck to all the other contestants in the contest, i've gone and looked at quite a few and they all look really cool. lots of interesting art styles (voxels for one) and a ton of cool ideas. May the best madman win! I did a LOT of work last night. Did a basic materials pass, added some bells and whistles (buttons, displays, batteries). Removed some useless cables. I'm still not too certain on the art style to go for. Photorealistic? Cartoony? Bit of both? Shame i can't export the text objects, They're a pretty big part of the model. The .blend filesize has also jumped from 5MB to 10MB. I might need to use a .fbx export. Welcome on board! Don't forget to subscribe to the contest updates thread to receive a notification when we have news to share. quick update: Decided i might try using hand-painted textures for the materials, mostly because i like the art-style, partly because it's easier to export textures to sketchfab than it is to bake blender materials. added some lighting, even though i wanted to restrain from doing that so the model/materials work well in any setting, but there's a point when you need to add lights. Added a bunch of wires to the circuit board, i don't really like how they're looking though so i'll have to find another way to connect the Display with the board. 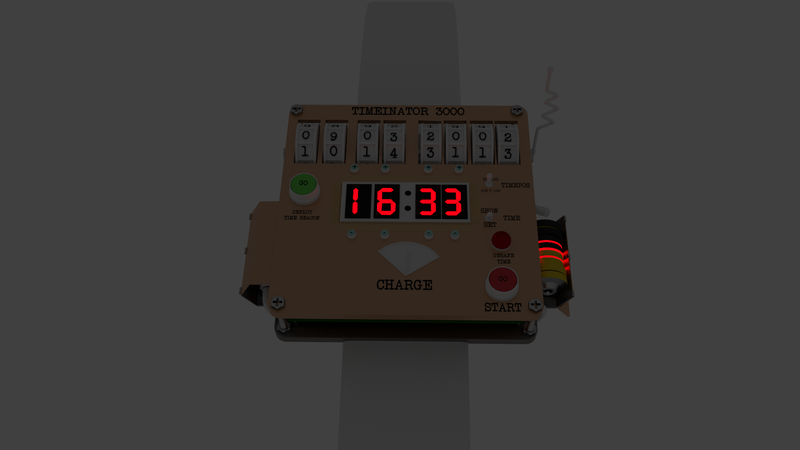 Modeled some 3D details for the board - transistors, capacitors and such like. changed up the strap to something more interesting. Implemented advanced Tape-Tek™ ® © Securing adhesive. I should maybe start building a story around this too... Maybe i could present it as an ad campaign for mad scientists across the world? Hi @BillyBobCornCob nice work I like it ! But could you share some reference pictures or your moodboard as well, if you have any. would be nice to see where you draw inspiration from as well. I've got a couple of responses from people, so i guess this is a Q&A post here. for @lorenzoderijcke's question about moodboards: I actually didn't know what those were before you made your post and i googled it. I don't have any sort of professional education in design, and i tend to just jump right in to making my model, doing everything from my head. That being said, i did do concept art for this project, and, just for you, i compiled a list of influences. Every project i do is a learning experience, so i guess with this i'm learning about proper workflow! A couple of games; Quantum Conundrum sticks out the most for me. And ever so slightly a bit of Mad Max design, that refurbished and "found" technology look. But if i'm going to be absolutely honest its a bit of a mess inside my head. 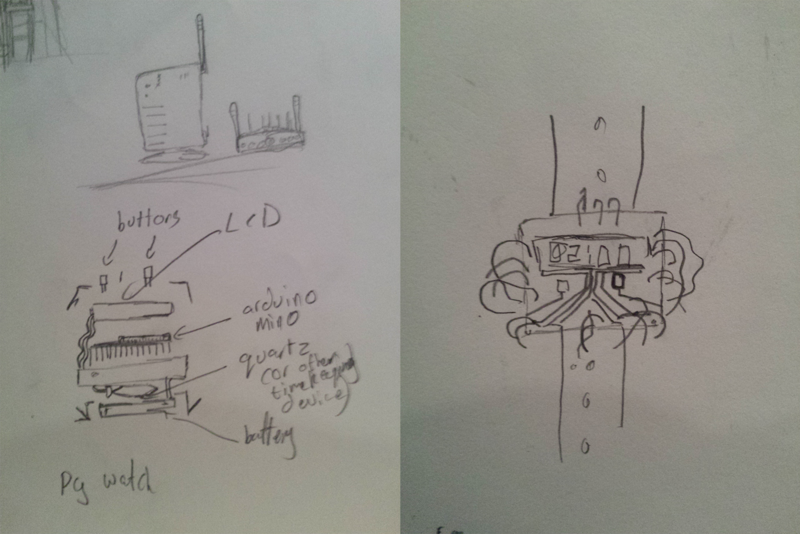 In future laying it out more and solidifying my ideas would work in my favor. The watch builds up so much energy in the batteries that the only way to release it is in a burst of pure time. You can manipulate this to send you to any time you like. Be careful though! You only get 1 use per battery, and those buggers are expensive. Why time and not just a very hot explosion? Who knows, it's probably quantum. But who said science was about understanding stuff? Anyway, thank you all for the support. Even if i don't win anything, i will have learned a fair bit for future projects - case in point being moodboards! EDIT: I added a story rundown on the main post. Take a look at it! I think its pretty good if i do say so myself. 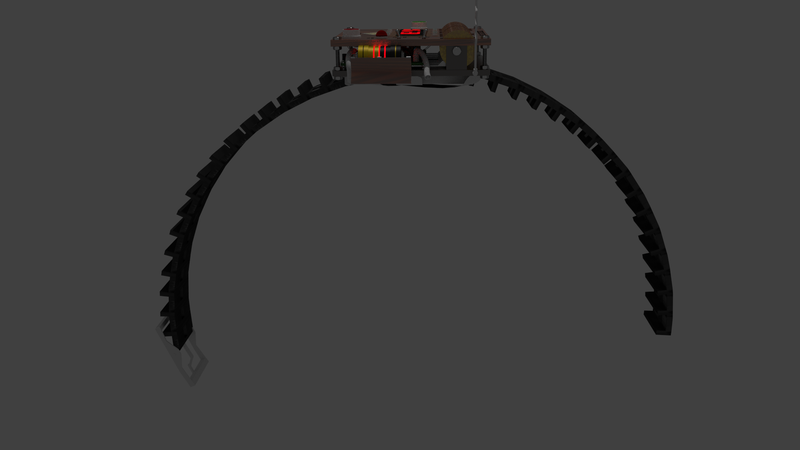 Progress is slowing a bit, finished up some materials on the underside, as well as a few of the little details. Will start to bake the parts i've finalised into a texture file, so i can apply them to the sketchfab model. I did a beauty render, and made a little advertisement poster out of it (does this count as part of my competition entry? or is it judged entirely off the model?). Fonts are Trajan Pro and Roboto Thin for anyone wondering. Update, because i've been out of action for a while. So, i was pretty sick last week, (severe nausea kinda thing), and my internet has been a bit iffy (read: he's dead Jim) and my ISP says they can't get anyone out till next week. I guess i'll have to figure out another way of uploading my stuff. So not very much progress has been made since my last update, just thought i'd keep things online. As always, you can read contest updates here, and if you have any last minute questions feel free to email me at bart@ this website. Update Time. I am frantically trying to bake everything i can for the final release, every time i think i've unwrapped and baked everything, i realise i've forgotten to seperate the objects or some other silly mistake. V4 and V5 are up on my account where i'm fitting all the materials in. Some notes for the future i guess: Bake as soon as you can. Getting the file under 50 MB was also incredibly difficult. I have had to make a couple of sacrifices, removing a bunch of cables that use expensive methods of rendering (cylinder, array + curve modifier), and i don't think i'll be able to replace them. Which im sort of okay with, because i didn't like them anyway. Good luck to all the other contestants entering the contest! May the best madman win!